Did Aspire hit it out the park with another Cleito tank? This is for vapers who loved their old Aspire Cleito tanks, or any of the other releases like the Aspire Revvo, the Aspire Cleito Exo, or the ever-popular Aspire Nautilus. First making their name with quality atomizers, the brand has become a staple in the vaping industry. 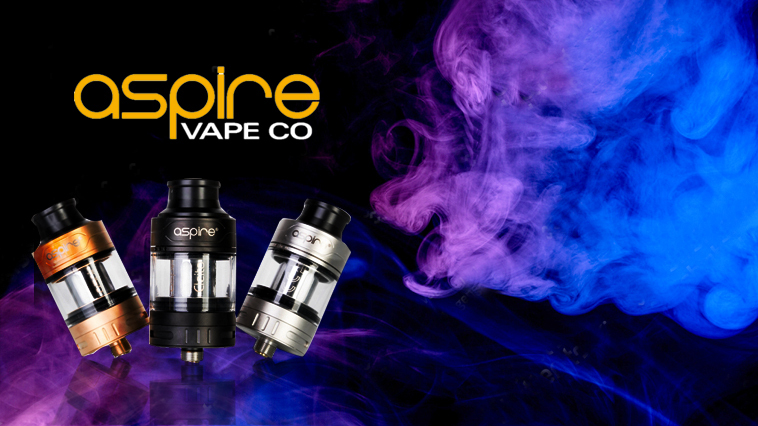 In recent years, Aspire has made an effort to upgrade many of their best-selling original tanks in hopes of outdoing themselves. While there are other tanks that some vapers might prefer, the Aspire Cleito Pro tank serves up a great vaping experience for a little over $20, perfect for those of you who already love the Aspire tanks or the enthusiast collector. The Aspire Cleito Pro tank is 24mm, has a triple adjustable airflow on the bottom and a built-in Delrin wide bore drip tip. It comes with a straight glass that is a 3ml juice capacity, as well as a larger 4.2ml bubble glass. The Cleito features a side fill port, protected by the Aspire cover ring that you simply slip off to access the fill port. The Cleito is available in four different finishes: silver, black, gold and rainbow. The finish is slightly mattified, so the tank isn’t as shiny as its counterparts. Doesn’t sound so special at first description, so why would Aspire fans love the Aspire Cleito Pro tank more than other sub-ohms? The Cleito Pro is sold with its own coil series: the Aspire Cleito Pro coils. These offer something a bit new. You’ll get a 0.5-ohm coil (60-80W range) that delivers some excellent flavor and some large clouds, especially when you vape at 80W. The other coil is a 0.15-ohm mesh coil, with an output of 60-75W, that really produces amazing flavor. The mesh coil typically lasts up to about two weeks with proper care, and even when it’s nearing the time to replace, the flavor still tastes good (unless of course, you’ve burned the wicking). But here’s the awesome part. The Cleito Pro is compatible with the original Cleito coils and the Cleito Exo coils. That gives you five other options for coils! So if you already own a Cleito or Cleito Exo, you can use the coils on the Pro no problem. Imagine that. As mentioned above, the Cleito Pro has triple adjustable airflow. Now at first looks, the airflow slots don’t look very large. But on vaping this tank, keeping the airflow wide open, you actually get great cloud production. The airflow adjusts very easily, even to the point where you can almost vape the Cleito Pro with the airflow closed for a MTL draw. But with that wide open flow, it helps the tank from getting too hot, even for a vaper who has a habit of chain vaping (like myself). This may not be a plus for everyone if you’re super picky about your fill ports being at the top of the tank. However, Aspire did something a little different here and it actually works—really well! The filling port is located on the side of the Cleito Pro. You’ll notice the Aspire branding right above the top portion of the glass; that’s your protective ring. Underneath that, there are three indicator dots. That’s where you’ll find the filling port. All you need to do is remove the protective ring—which slides off with ease—and you’ll locate the port. Filling it with liquid is easy and quick, since the port is relatively large and fits nearly any bottle tip. Just make sure you don’t tip the port downward, or you will spill juice. Place the ring back on once you’re done. It’s incredibly easy. Want to Give the Aspire Cleito Pro Tank a Try? The new Cleito Pro tank is the perfect upgrade of the Cleito line. You’ve got plenty of options for coils and the new 0.15-ohm mesh is a hit. The Aspire coils usually have a great life span, which is another plus for this tank. The flavor from the Cleito Pro is up there with many other top selling tanks. It’s a nice option for Aspire fans, beginning vapers, or tank collectors since it’s a dependable, versatile tank. For about $20, too, it’s kind of a steal. Purchase the Aspire Cleito Pro Tank here. Next articleSmoking or Vaping: Which is Better for the Environment?